On a recreational trampoline the number one rule is safety. Safety on a trampoline is ensured by regularly checking components: the frame pad, the jumping mat and the springs. If your frame pad is damaged, then it is important to change it. 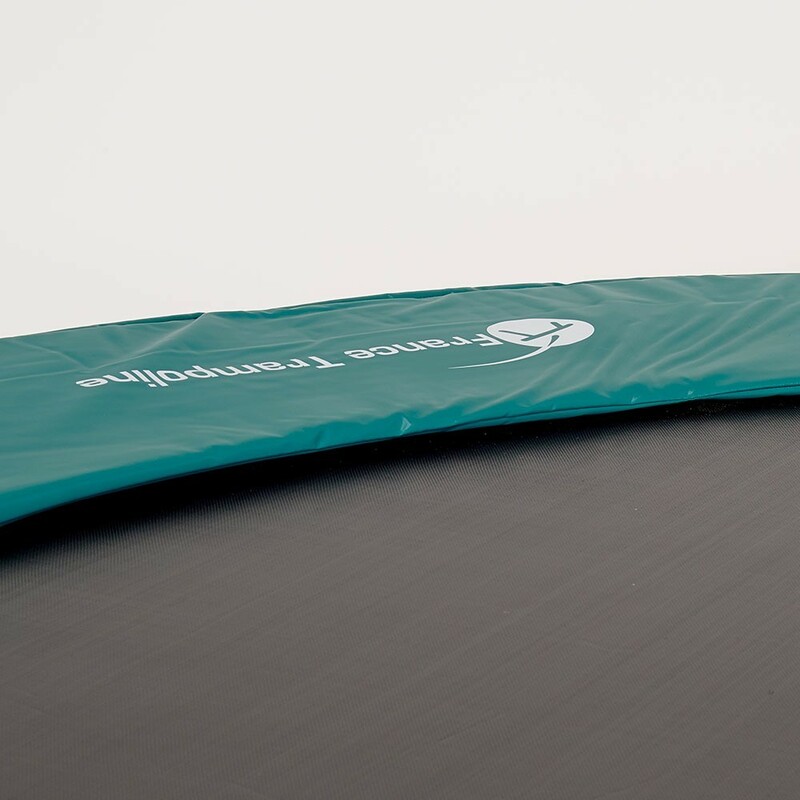 This Premium frame pad is made for round trampolines with a diameter of 4.57 m with springs between 210 and 230 mm in length. - The greatest asset of our spare parts is that they can be fitted to trampolines from any brand. This model is perfectly adapted to the Booster 460 trampoline, but also any other trampoline of 4.60 m in diameter with springs measuring 210 to 230 mm in length. 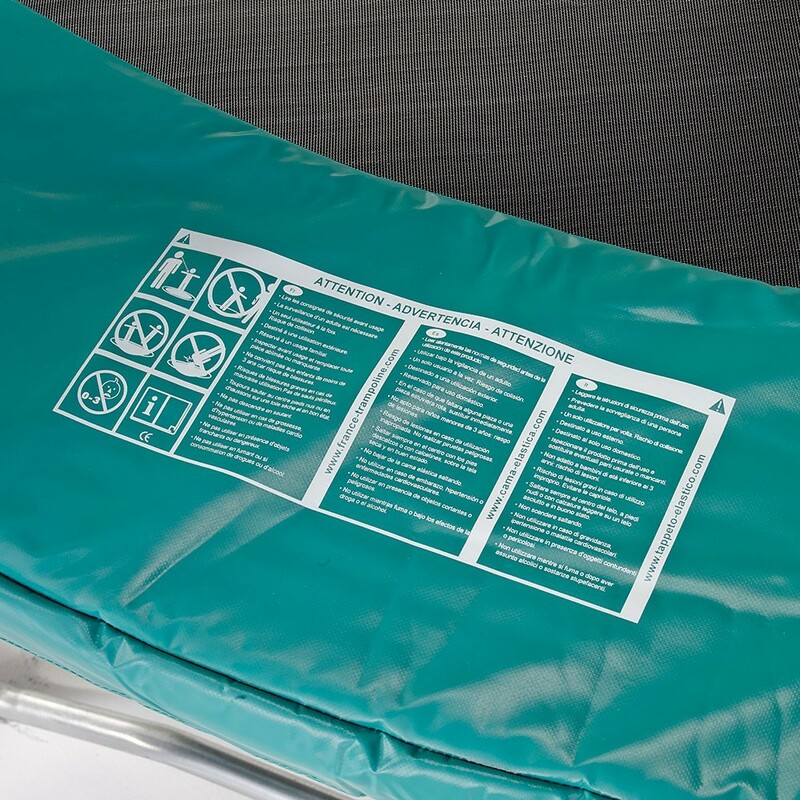 - These Premium frame pads are made from expanded polyethylene monobloc foam. It is highly resistant and flexible for protection against repeated falls. It is also waterproof making it the perfect material for these pads. - The monobloc characteristic ensures improved solidity. It will not disintegrate upon impact, contrary to other frame pads made with small, fragile pieces of foam. 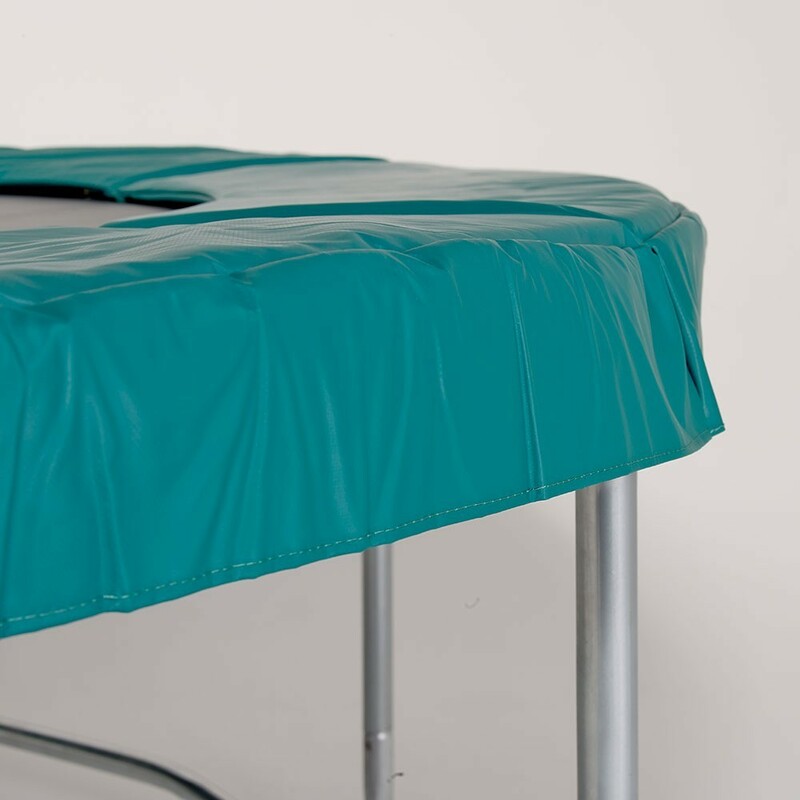 - Our frame pads are covered in a high density PVC. It is 0.55 mm thick and has been UV-protected making it incredibly weather-proof. We have equipped our frame pads with an easy to install fixation system, made of 32 steel eyelets and 16 black elastic straps (more resistant than fabric straps). 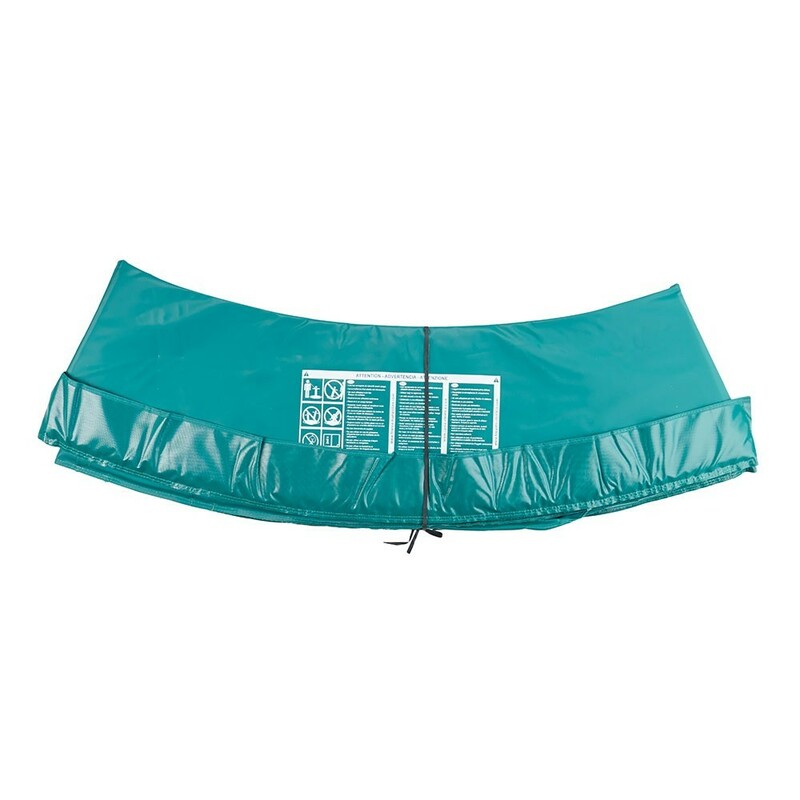 The straps are threaded through the eyelets and fixed to the steel framework of your trampoline. These elastics allow some flexibility and prevent tearing, which would inevitably happen with fabric straps.